When it comes to autonomous driving, car enthusiasts are first in line to nix the idea. There’s a bit of an overarching fear that, one day, human drivers could be rendered unnecessary and manually controlled driving is banned altogether. But even the CEO of the company with the most advanced autonomous driving fleet on the road today believes humans will always have the choice to take the wheel if they please. 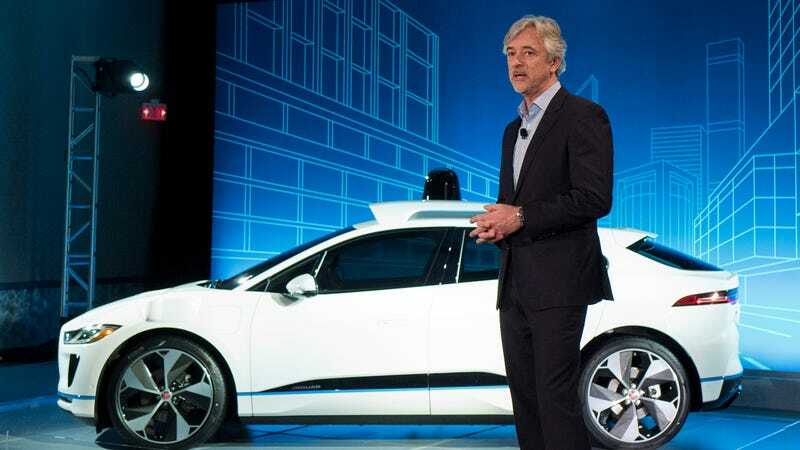 Waymo, Google’s self-driving car unit, is in New York this week to tout a new partnership with Jaguar Land Rover, which aims to manufacture 20,000 fully-autonomous versions of the new all-electric I-Pace by 2022. The cars, Waymo said, would be deployed on the company’s ride-hailing commercial service that’s slated to debut in Phoenix later this year. 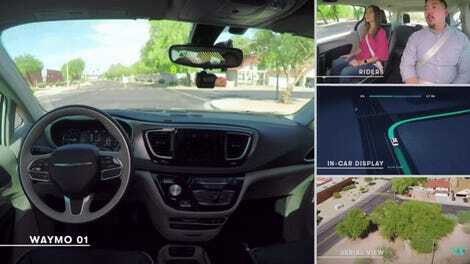 The company has been testing autonomous cars without a driver for months in the area, and when the commercial service debuts, it’s expected to cover a 100 square mile region. But it’s a pretty contentious time for autonomous cars, perhaps more so than ever. Waymo CEO John Krafcik has been grilled with questions by news reporters all day Tuesday, especially since the company is making this announcement amid a particularly tenuous moment for the self-driving car industry. Not even 24 hours earlier, Arizona’s governor ordered Uber to stop testing autonomous cars in the state, after an Uber-owned Volvo XC90 fatally struck a pedestrian on March 18 in circumstances that experts say should’ve unquestionably been easy for an autonomous car to handle. Krafcik separately sat down Tuesday afternoon with a few reporters, including Jalopnik, and covered a broad swath of focal points for the fledgling autonomous driving industry. Particularly interesting was his perspective on the need for human driving. The idea that autonomous driving tech would eventually supplant humans and negate the need for actual drivers at the wheel has been kicked around for years. Tesla CEO Elon Musk suggested back in 2015 that, eventually, cars are going to be so advanced that driving simply has to be outlawed. “Good heavens, no,” he told Jalopnik. It’s perhaps a surprising viewpoint from the chief of a company that’s considered the leader to develop automated driving. The overarching view of where things are headed predicts a driving world with a dystopian edge of sorts—truck drivers no longer needed on long-distance treks; cab drivers no longer required to cart people around cities. I’m not sure anyone’s asked Krafcik this in the past. And it seems like, with how quick and convincingly he responded, it’s something he’s given serious thought to. Can you really achieve some of the high-flying ideas of making roads safer that Waymo—and, now, the industry—believes can be achieved through autonomy? Apparently, Krafcik thinks so. But maybe it’s not entirely unexpected. After all, Krafcik comes from the auto industry, having run Hyundai’s North America unit and done stints at Ford. He’s known to keep the likes of a 2006 Porsche 911 Carrera S and a Caterham Super 7 in his garage. The idea of mixing human drivers with autonomous cars unnerves some industry observers, but Waymo has put in more hours to develop self-driving cars than nearly everyone in the industry at this point. Its input could be the most instructive insight we have on how robots and humans interact on the road. Krafcik pointed to Waymo’s experience in its home base of Mountain View, California, where it has tested autonomous cars for nearly a decade now. Local drivers seem to even enjoy having Waymo’s cars alongside them, he said. Krafcik also said he doesn’t believe the sort-of grandiose vision touted by some Silicon Valley types—that, one day, car ownership will be rendered unnecessary—will come to fruition. We’ll always have the chance to just get up and go. “I am not that sort of a believer,” he said. “It’s all about choice,” Krafcik said. That includes having the ability to get behind the wheel and go. Even conservative-leaning commentators, fearing the all-mighty big and powerful government and its regulations, think a driving ban is inevitable. On the opposite end, leftists have pitched a driving ban as something of a moral obligation to support. The idea has traction among the likes of former industry titans like Bob Lutz, too, as an inevitable conclusion to autonomy. But not even in cities, where autonomous cars would likely first gain traction operating in taxi-like services, does a ban on human driving seem feasible, said Krafcik. “I don’t think so,” Krafcik said. And if one was proposed?